IHE USA recruits volunteer monitors to review and evaluate interoperability tests completed by participants at the IHE NA Connectathon. Monitors gain exposure to the latest standards, cutting-edge technology, and the engineers developing health IT interoperability. IHE USA’s unique, practical learning environment provides the experience you need to advance your career. IHE USA's monitor program is a highly competitive and respected program that is vital to both a volunteer monitor's professional development and health IT industry as a whole. Learn more about eligibility requirements for this exciting opportunity for future Connectathons. 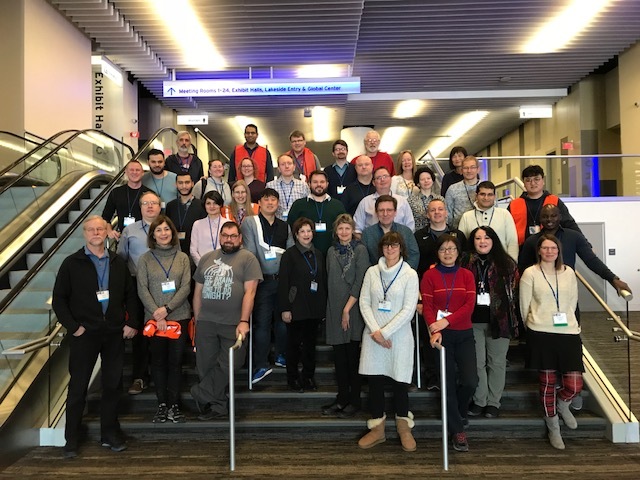 Applications for the IHE NA Connectathon 2020 Monitor Program will open in the Fall of 2019. Monitors may not be employed by a participating vendor or competitor, nor be under contract to provide consulting or other services to a participating vendor. We are glad to assist you. Please contact IHE USA at Connectathon@ihe.net and join the IHE USA Newsletter to stay connected with the latest IHE news and updates.